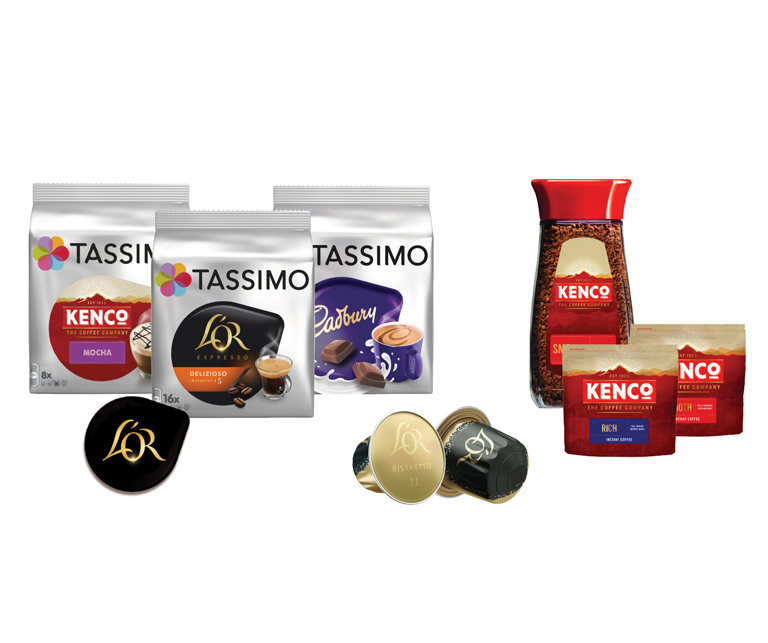 TerraCycle® have partnered with Tassimo® and L'OR® to create a free recycling programme for Tassimo® T-DISCs, outer packaging, L'OR capsules, Kenco Eco Refill packs and coffee jar lids. The programme is run by a network of volunteers who have set up dedicated collection points at public locations across the country. The volunteers coordinate the collection and send the Tassimo, L'OR and Kenco waste to TerraCycle for recycling raising money for charity in the process. Please use the map / post code search facility below to find your nearest public location – then simply drop your Tassimo, L'OR and Kenco waste back to the collection point during the opening hours listed. We currently have over 130 locations across the UK and we are looking at how we could increase our reach by implementing a more efficient bulk collection model at suitable locations targeting larger urban areas across the UK. This programme is run through public drop-off points only. You can drop off your Tassimo, L'OR and Kenco waste at any of the existing network public drop off locations of which we have hundreds across the UK. Please use the post code search facility on the map below to find your nearest location. Please note that there is currently a waiting list for new public drop off point locations for the Tassimo® & L'OR Recycling Programme. The Tassimo® & L'OR® Recycling Programme operates through over 130 public drop-off locations across the UK. To find your nearest public location please use the map / post code search facility above, then simply drop your Tassimo, L'OR and Kenco waste back to the address between the opening hours listed. 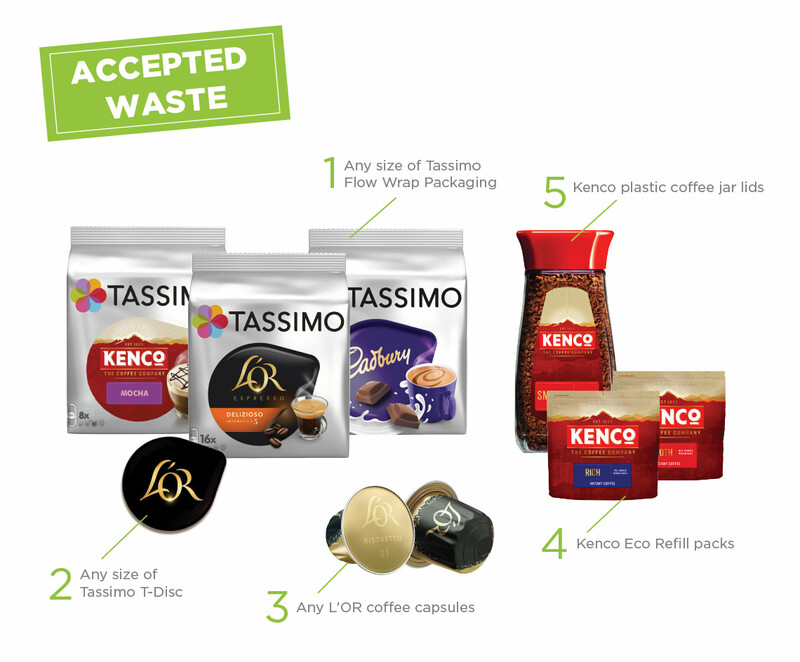 The administrator will bulk the collected Tassimo, L'OR and Kenco waste and ship them to TerraCycle to be recycled. TerraCycle Points can be redeemed by the administrator of the collection point for a variety of charitable gifts or a payment of £0.01 per point to the charity organisation of their choice. For more information about our points programme, click here.